Jeeps are known for their versatility and off-road performance. However, the stock sound system in the JL Wrangler lacks power and frequency range. 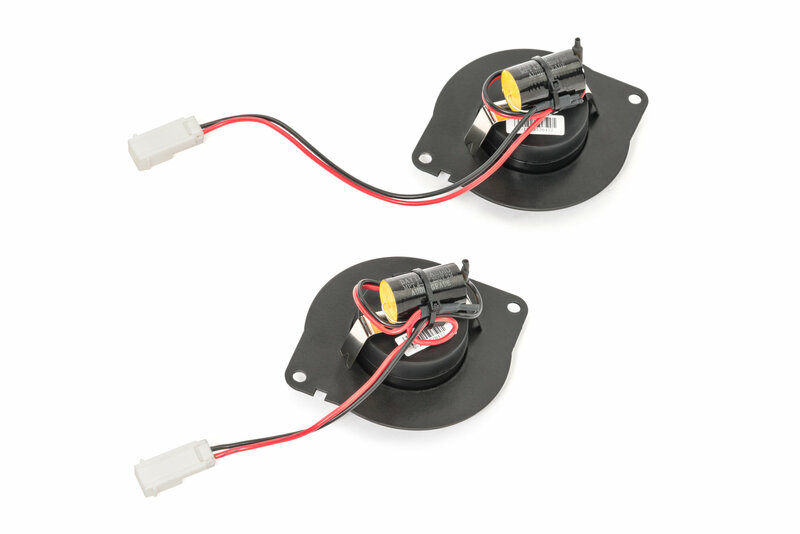 Breathe new life into your anemic factory sound system with the Quadratec Super Tweeters (Pair). 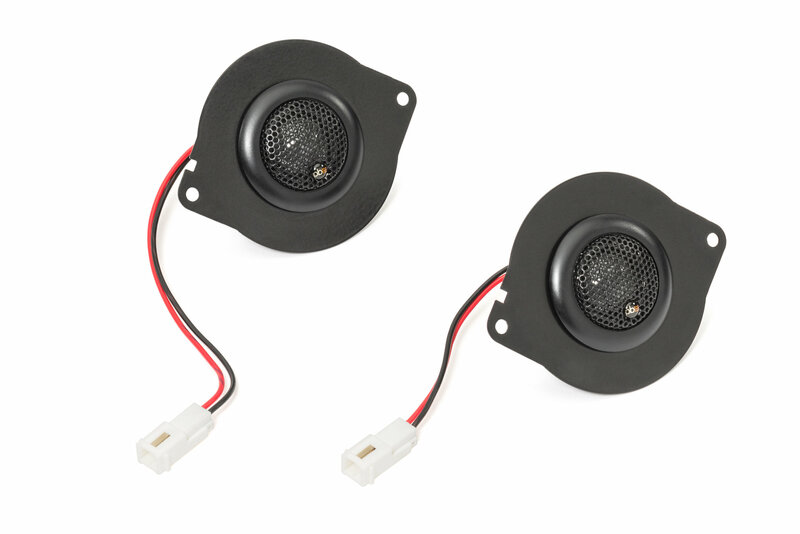 These plug and play speakers conveniently install in either the upper dash or sound bar locations using vehicle specific wiring. Quadratec Super Tweeters feature 1” silk dome diaphragms, neodymium magnets, mMetalized polypropylene capacitors, and Ferrofluid® Cooling. They are sold in pairs, and are backed by our 1 Year Limited Lifetime Warranty. 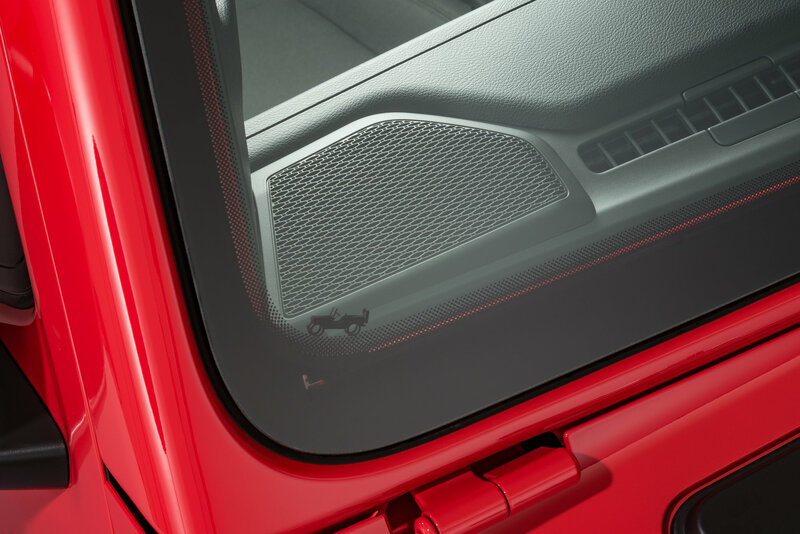 Vehicle Specific: The Tweeters come with custom Jeep Wrangler JL compatible crossovers and mounting plates. Our crossovers feature industry leading metalized polypropylene capacitors for smooth crystal clear highs. Plug-N-Play Installation: The included wiring plugs directly into the factory harness. 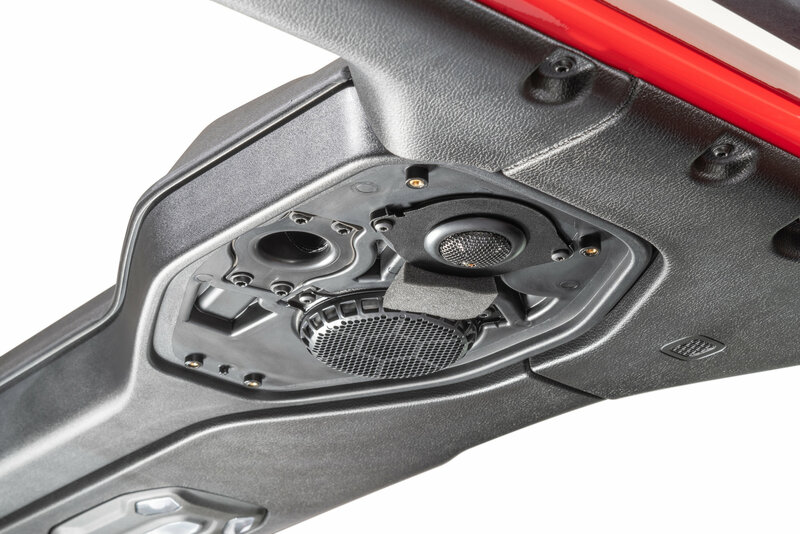 Simply remove the OEM speaker, and drop in your new Quadratec Super Tweeter. Versatile: The Quadratec Super Tweeters are compatible with both Sound Bar and Dash mounting locations on the JL Wrangler. 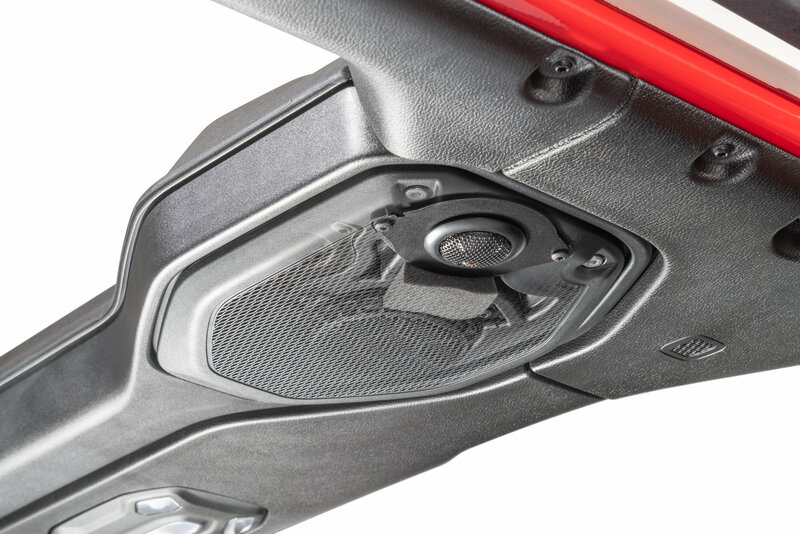 Not an audiophile, but I noticed a night and day difference with the Quadratec Super Tweeters in my 2018 JLUR with the Alpine Premium Audio System. I ordered two pairs, one for the tweeters on the dash and the other for the tweeters in the sound bar. I could immediately tell the vocals come in much cleaner than prior without having to turn the treble up. Listening to the news or a podcast is as easy as having a conversation in a hardtop Wrangler. Even with the 2 panels removed, windows down and driving down the highway, the clarity cuts trough the wind noise without having to blast the music. I’m extremely pleased with my purchase and highly recommend this tweeters for every JL owner looking to improve their audio system.